quality solution that guarantees absolute stability. Root Call Blocker. It works just as effectively and may suit your needs better. screens and timeouts from the interface. The nag screens are pretty light though, so users who dont want to spend can live with them. Anything to report in R12? R26 has been released, we are nearing release candidate status. Hello.. interested in this app, I don't see any reviews for it and would just like to know how its working out, as I see it is technically still in testing. 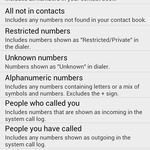 I'm just looking for a basic application that will allow me to block all incoming calls and texts from a certain phone number. Seems a lot of the apps available cause issues such as crashing, battery draining, blocking numbers they aren't specified to, or just not functioning correctly. So I'd like to find out how this app is coming along and if you would recommend it at this juncture. I would be using it on a rooted Bionic running a custom ROM which has all blur removed -- I don't know if that would make any difference but just in case. Thanks for the info and keep up the great work! But I warn you, this app is for heavy users an will be quite expensive on release. 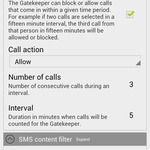 You might consider sing our other call manager, Root Call Blocker. An update has been released. OK guys, we are now very close to the final release. Please leave some feedback so we can make the necessary changes if needed. Anything to report for 1.1.7? 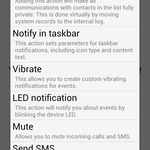 How are things working on ICS? Any suggestions perhaps? I am eager for some feedback on this app guys! Just came across this thing, looks pretty sweet. Question.....if I add a number to the blacklist and that number calls me, will the blocked call still show up on my missed calls list? I.e. the phone doesn't ring and I don't see the missed call icon will it be on the missed call list? Not if you have added the "Make private" action to that list or profile. 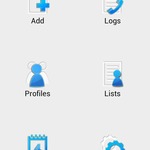 Privatized numbers will be moved from the system logs to the cm log. 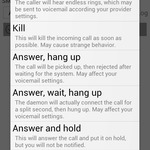 You can also completely ignore people so that blocked calls from them will not be logged at all. Any issues with yesterdays major update? There have been many changes and plenty of new features! Check them out you wont be disappointed.